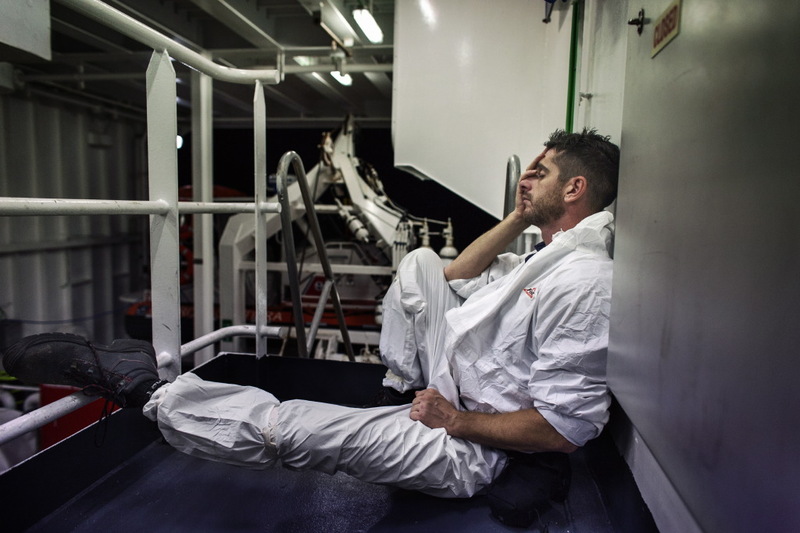 These pictures were taken by the photographer Luca Catalano Gonzaga on September 2016 on board the Italian Coast Guard ship “Ubaldo Diciotti”, in the waters of the Libyan sea, north of Sabrata. 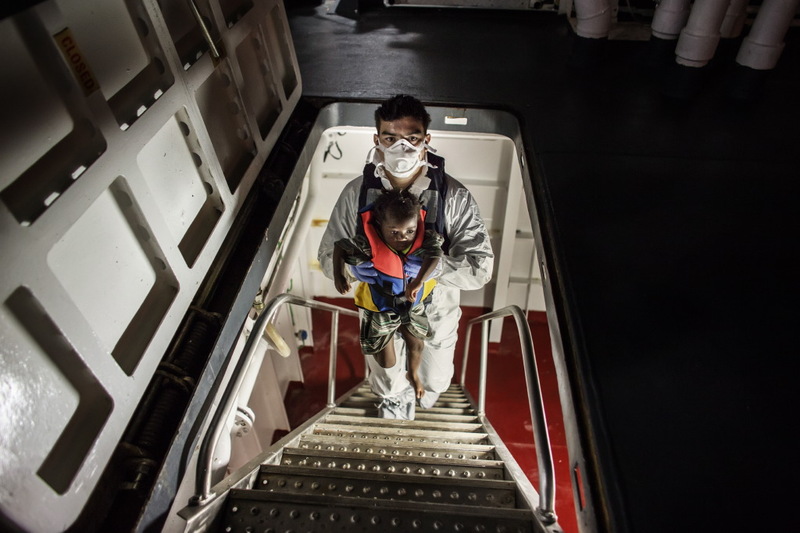 130 migrants were transshipped from the Maltese cargo vessel Purki after a long and troubled rescue operation which required a medical evacuation. 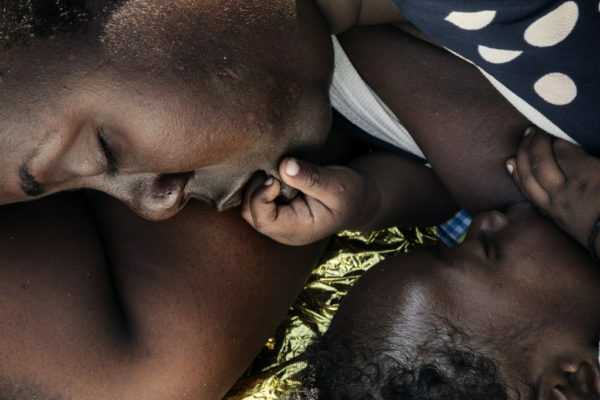 An Italian Navy helicopter promptly carried two pregnant women to the nearest Sicilian hospital. 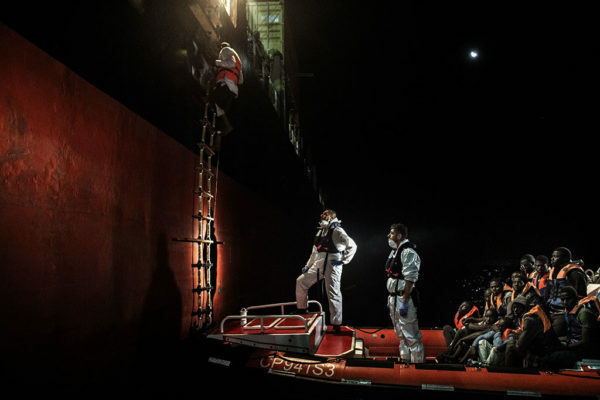 Since its launch and when it became of service in 2014, the “Ubaldo Diciotti” and its 60-people crew saved more than 15.000 migrants. 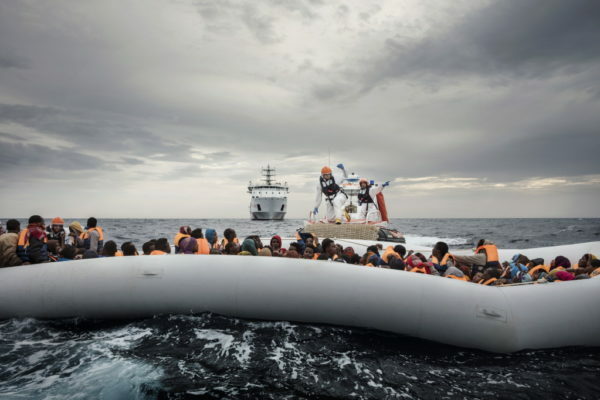 It can accommodate more than 600 migrants and contributes to several rescue operations every day. Apart from rescue at sea, the “Ubaldo Diciotti” carries out anti-pollution missions in defence of the marine environment. A Panamanian freighter carrying 80 tonnes of fertilizer has sunk in the Sicilian channel. (text by Sebastiano Caputo). Mediterranean Sea, Italy. 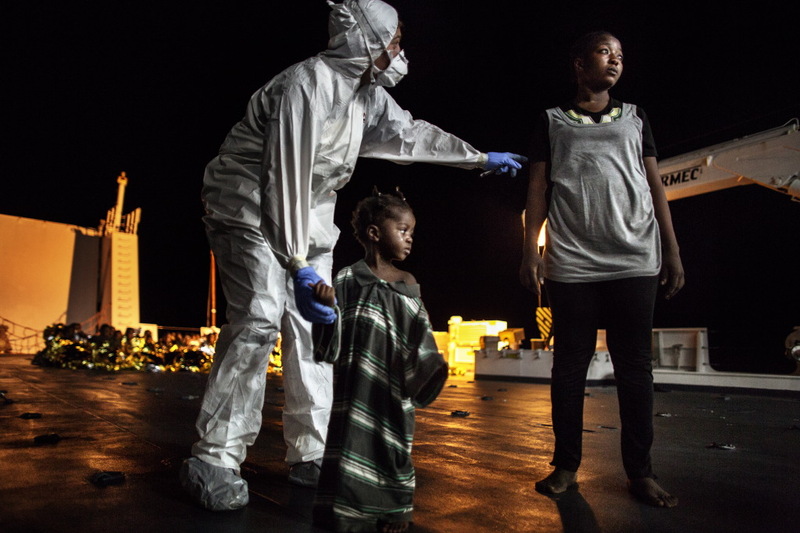 A crew member of the Italian Coast Guard ship “Diciotti” is holding a child to take him on board. Mediterranean Sea, Italy. 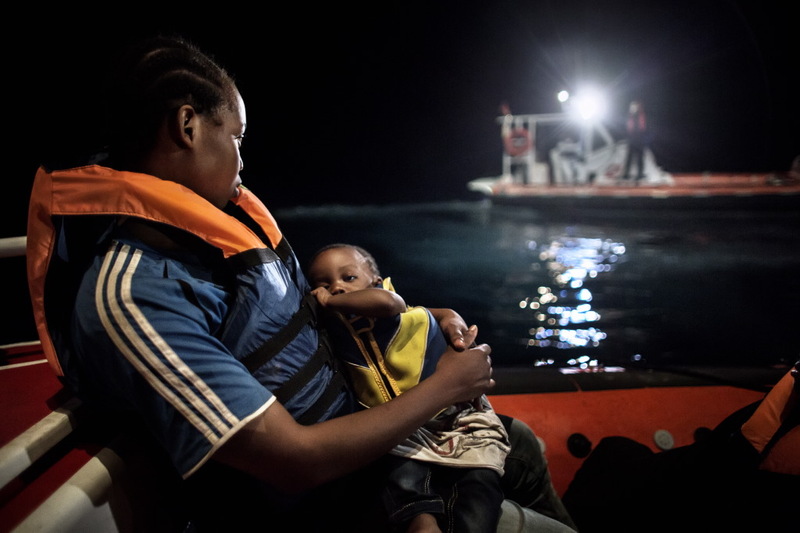 This woman and her son have just been rescued and are waiting to be taken on board of the Italian Coast Guard ship “Diciotti”. Mediterranean Sea, Italy. 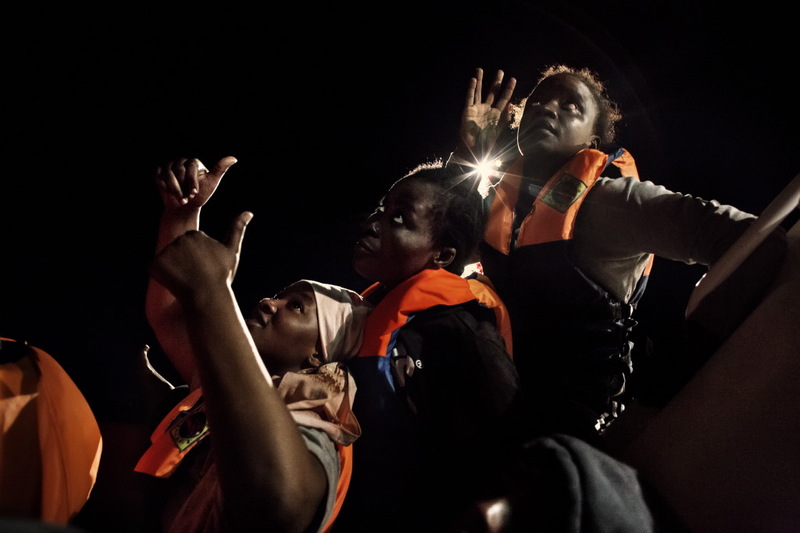 Migrants are thankful to the Italian Coast Guard after they have been rescued in the Mediterranean waters at 25 miles from Sabrata (Libya). Mediterranean Sea, Italy. 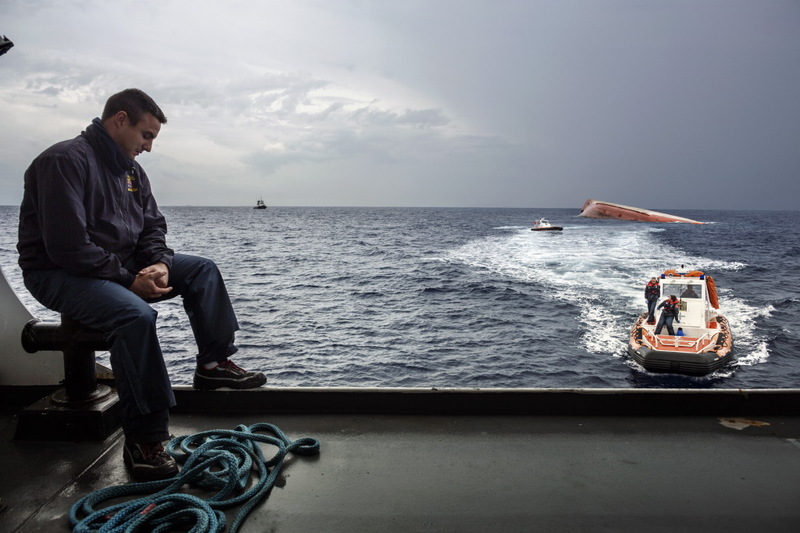 Some phases of the transshipment of 130 migrants from the Maltese cargo ship “Purkial” to the lifeboat of the Italian Coast Guard “Diciotti” ship. This occurred in the Libyan sea, in front of Misurata. Mediterranean Sea, Italy. 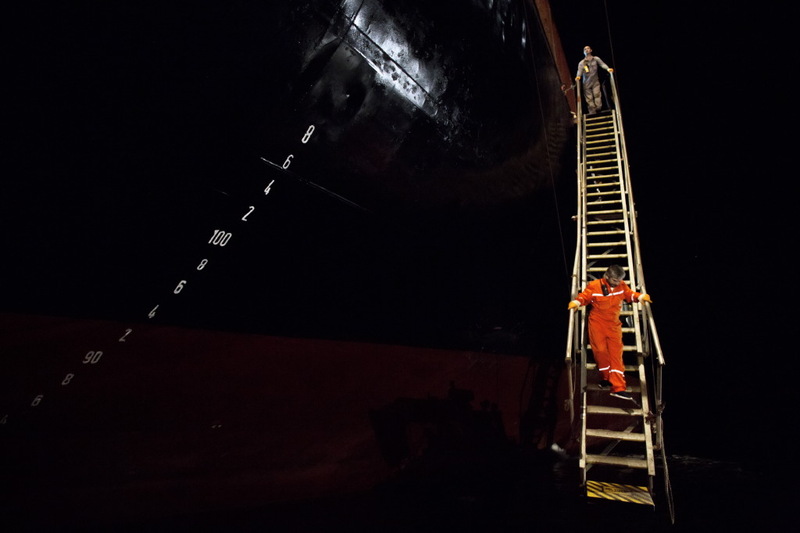 A ladder is lowered from the cargo that has just rescued 300 migrants in order to transship them to an Italian Coast Guard lifeboat. Mediterranean Sea, Italy. 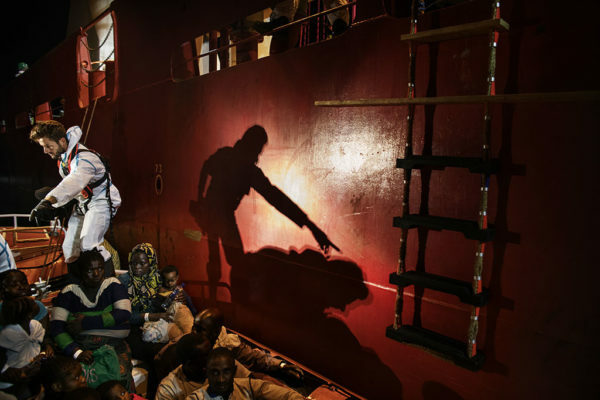 Migrants rescued by the crew of the Italian Coast Guard ship “Diciotti”during the night in the Mediterranean waters, in front of Misurata. Mediterranean Sea, Italy. 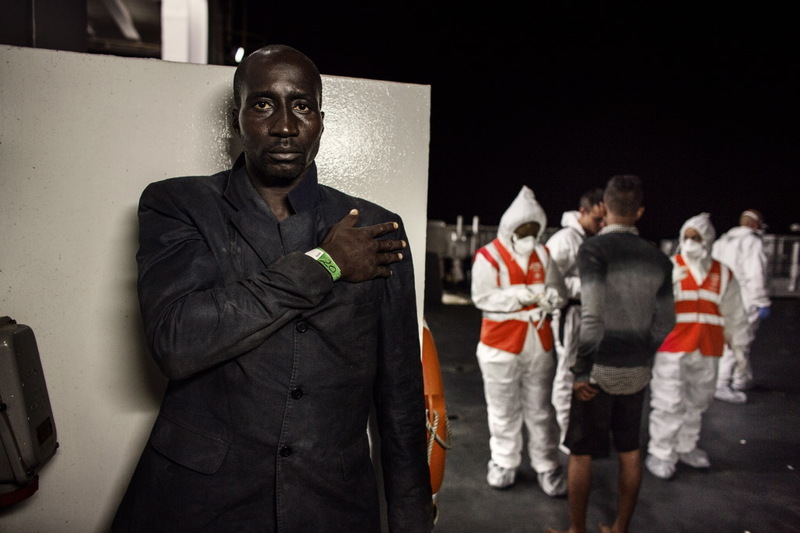 As migrants board the Italian Coast Guard ship “Diciotti” they immediately undergo a medical examination. Mediterranean Sea, Italy. 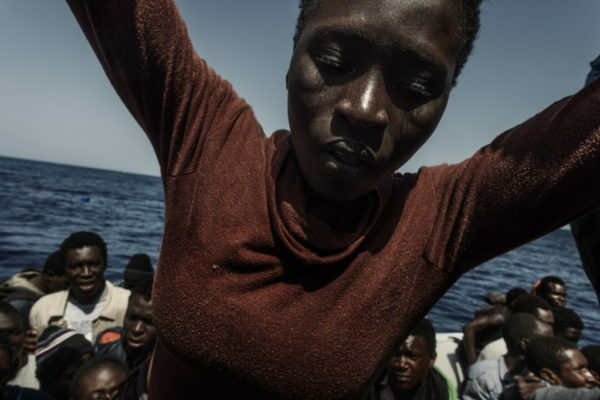 Fatima is a young woman escaping from Ivory Coast. 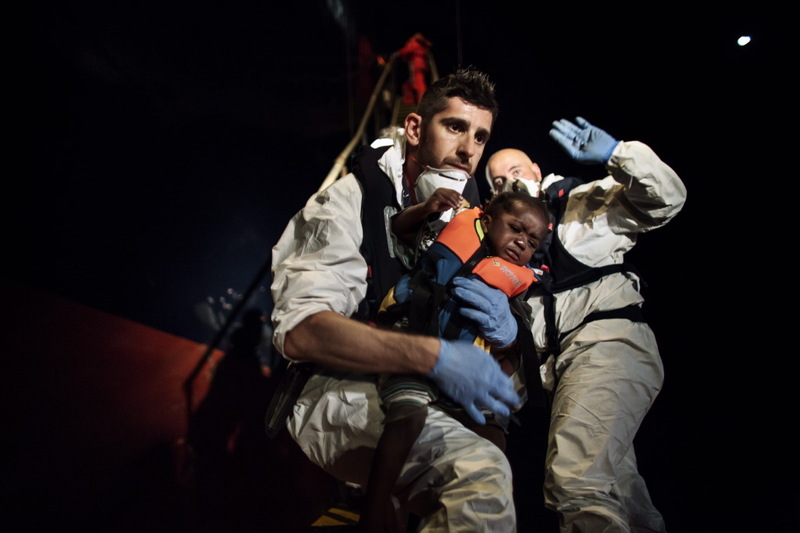 She is nine months pregnant and she broke waters during rescue operations. 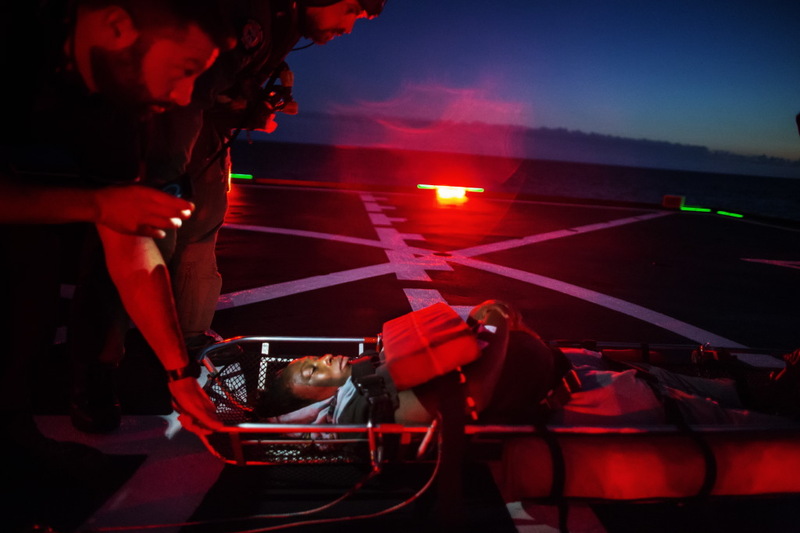 A Navy helicopter will urgently carry her to a Sicilian hospital. Mediterranean Sea, Italy. 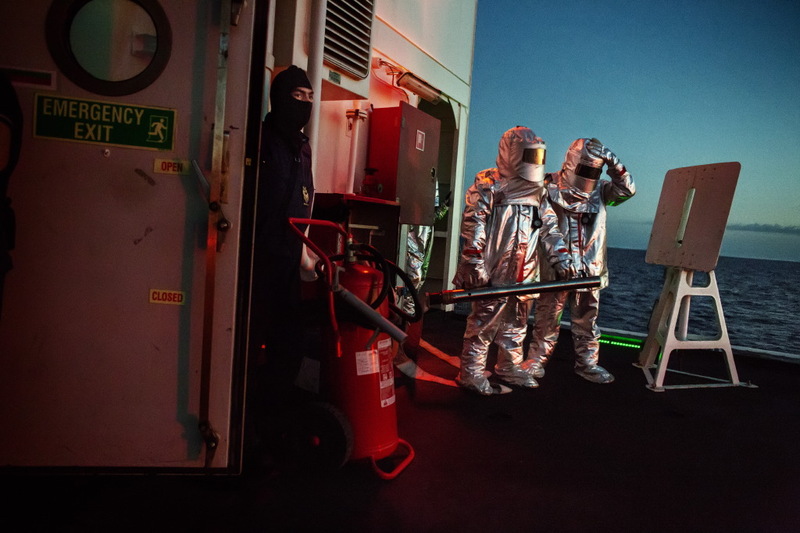 During the delicate phase of emergency medical transport, the crew of the Italian Coast Guard ship “Diciotti” is always ready to intervene in case of fire or mid-air collision. Mediterranean Sea, Italy. 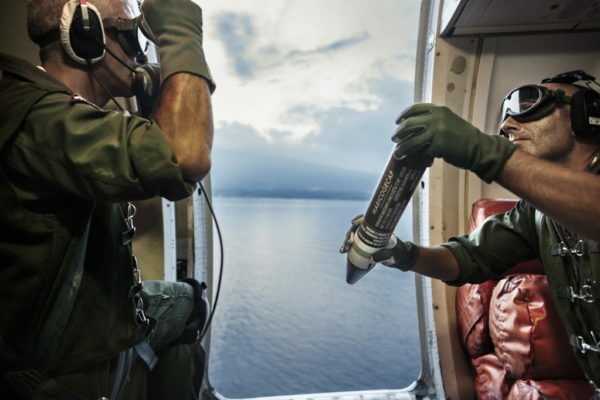 The crew of the Italian Coast Guard is always ready to intervene in case of fire during the helicopter’s landing. Mediterranean Sea, Italy. 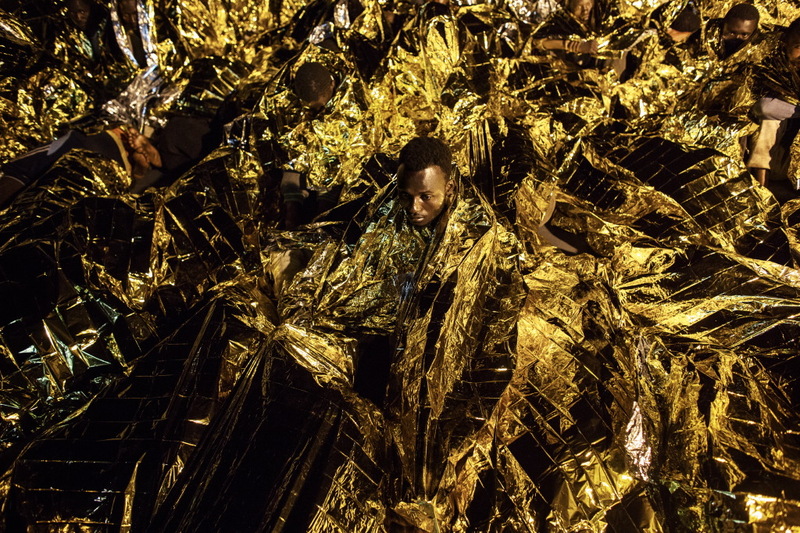 Migrants get warm under space blankets on the deck of the Italian Coast Guard ship “Diciotti”. Mediterranean Sea, Italy. 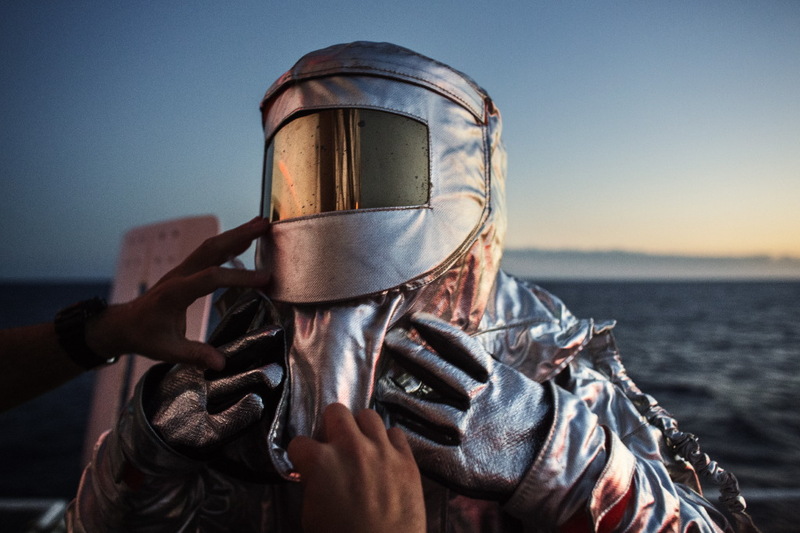 Portrait of a migrant man warmed up by a space blanket on the Italian Coast Guard ship “Diciotti”. Mediterranean Sea, Italy. Italian Coast Guard ship “Dattilo”. 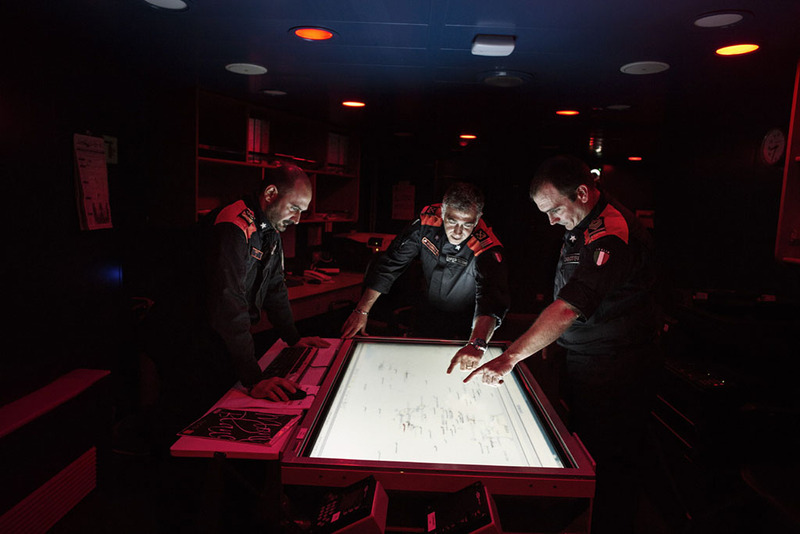 Close studying of the marine charts in order to locate migrants boats. Mediterranean Sea, Italy. It is 3 a.m.: the men of the Italian Coast Guard ship “Diciotti” try to recover their strength. Mediterranean Sea, Italy. Italian Coast Guard ship “Dattilo”. 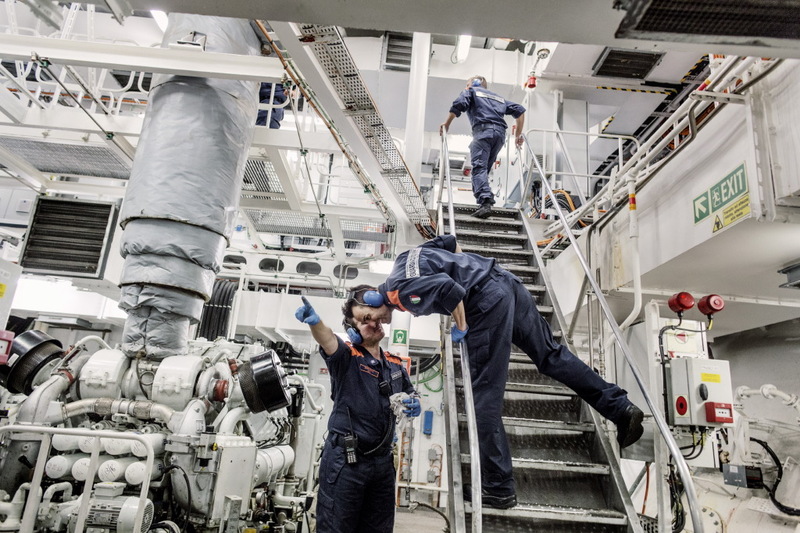 Control and monitoring activities in the engine room. Mediterranean Sea, Italy. 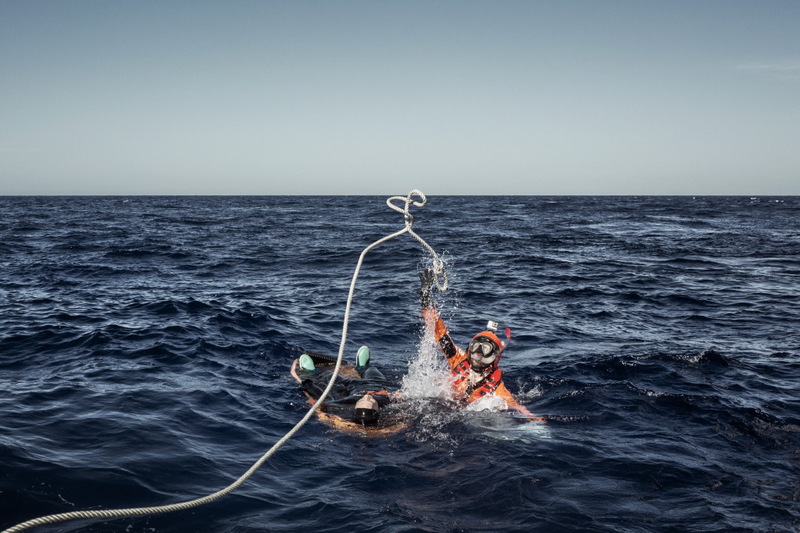 Among the exercises there is also the the figure of the ‘rescue swimming’, essential during rescue operations. Mediterranean Sea, Italy. 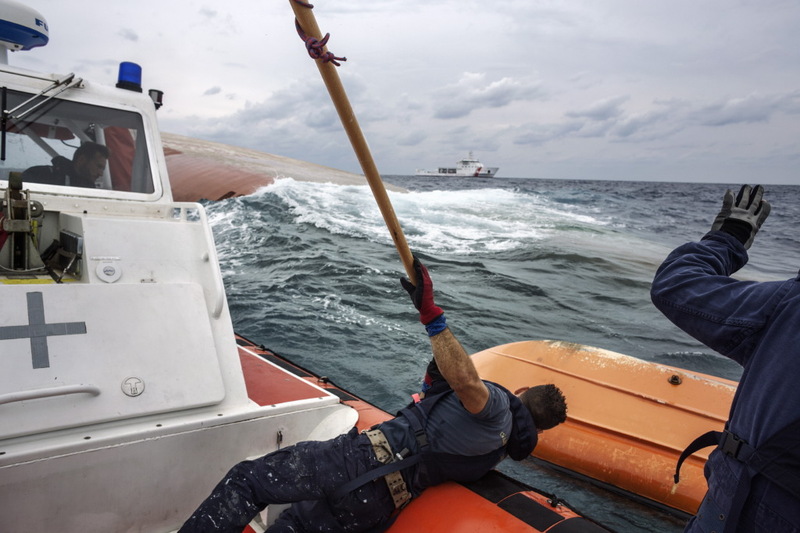 The sinking of a cargo ship in the Sicilian channel.